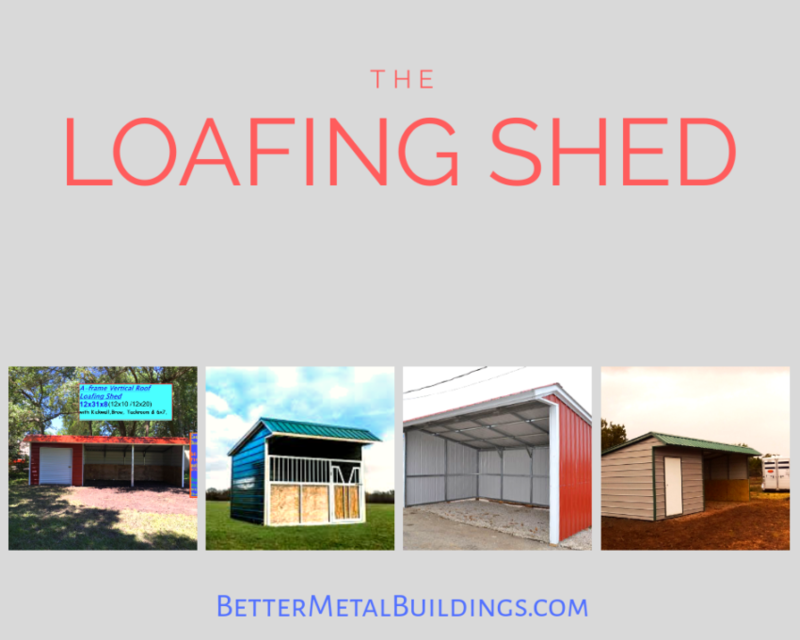 One of the most utilized buildings on a farm or ranch is the loafing shed. 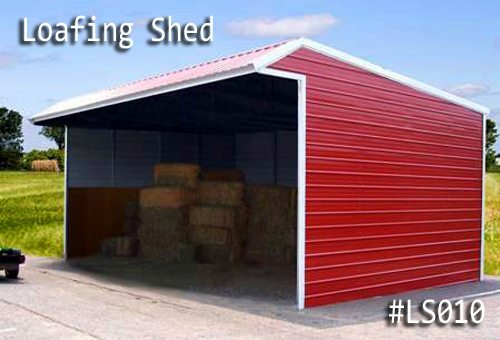 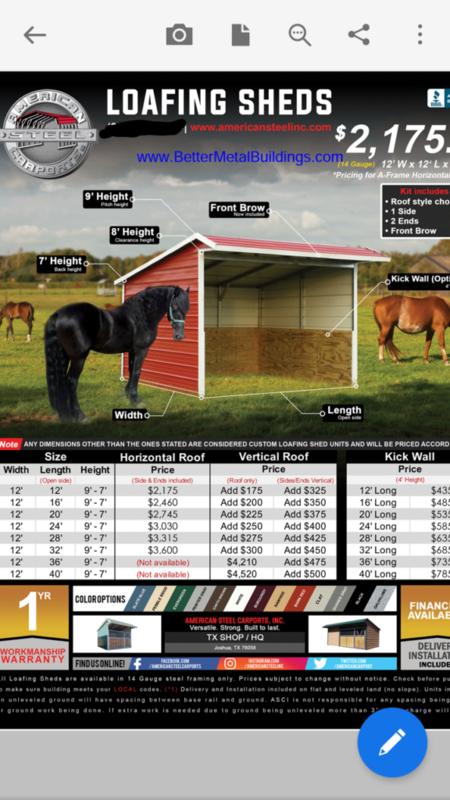 Also commonly known as a stable, loafing sheds have always been a staple for farm owners everywhere. 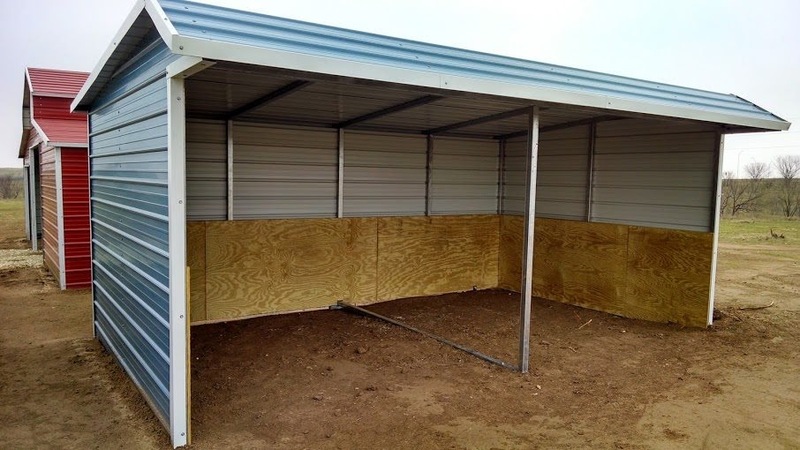 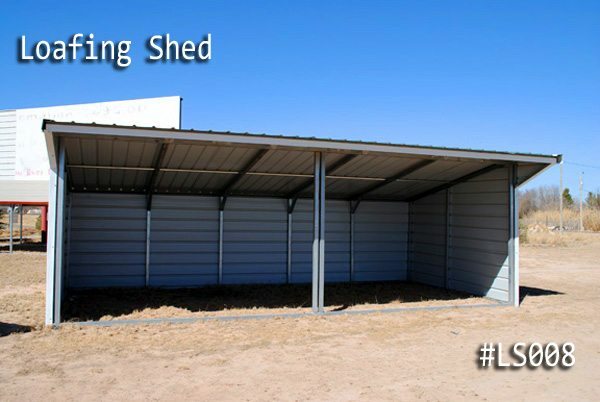 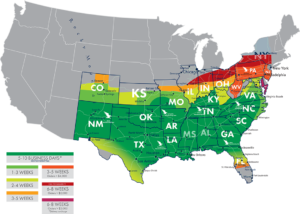 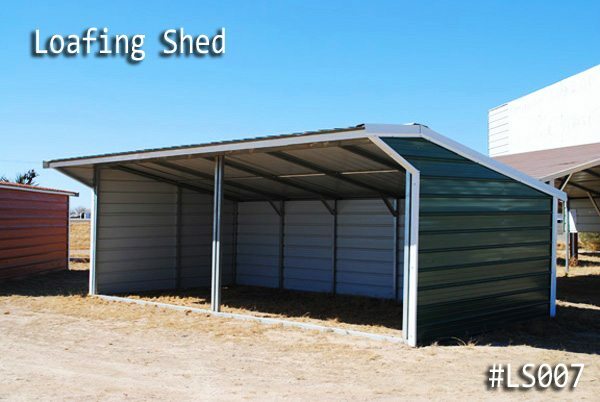 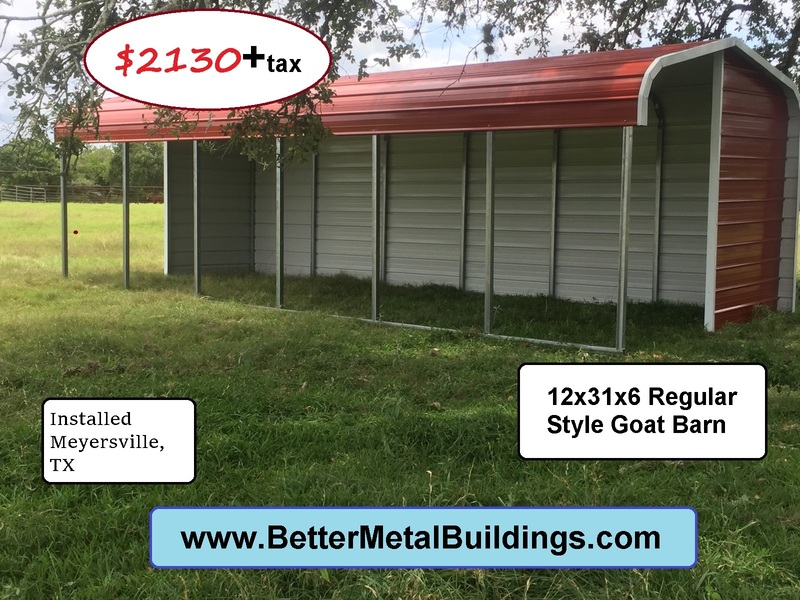 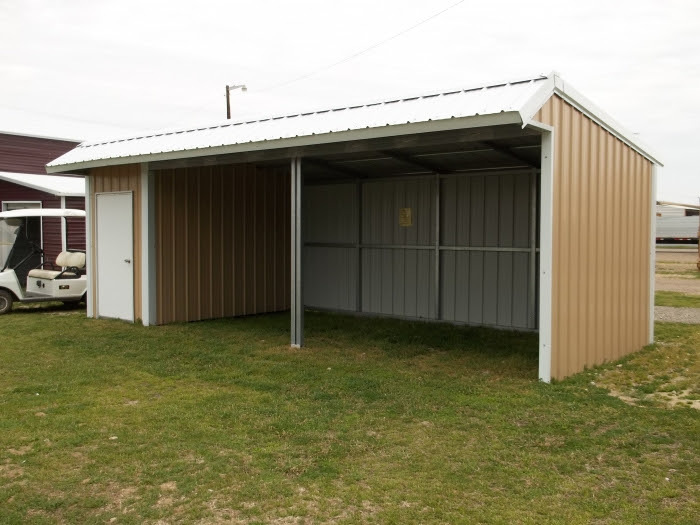 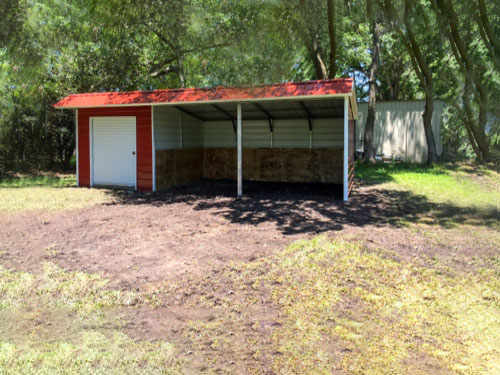 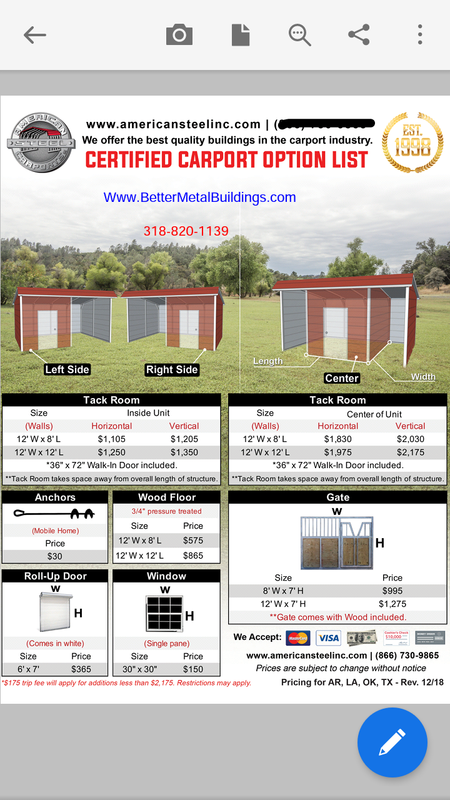 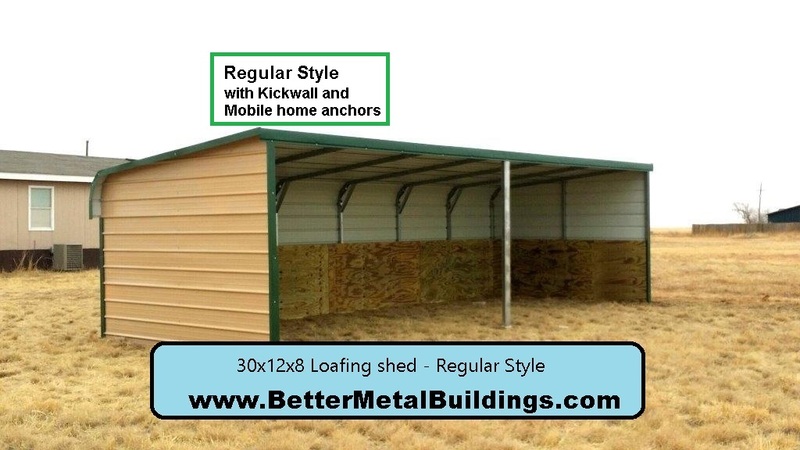 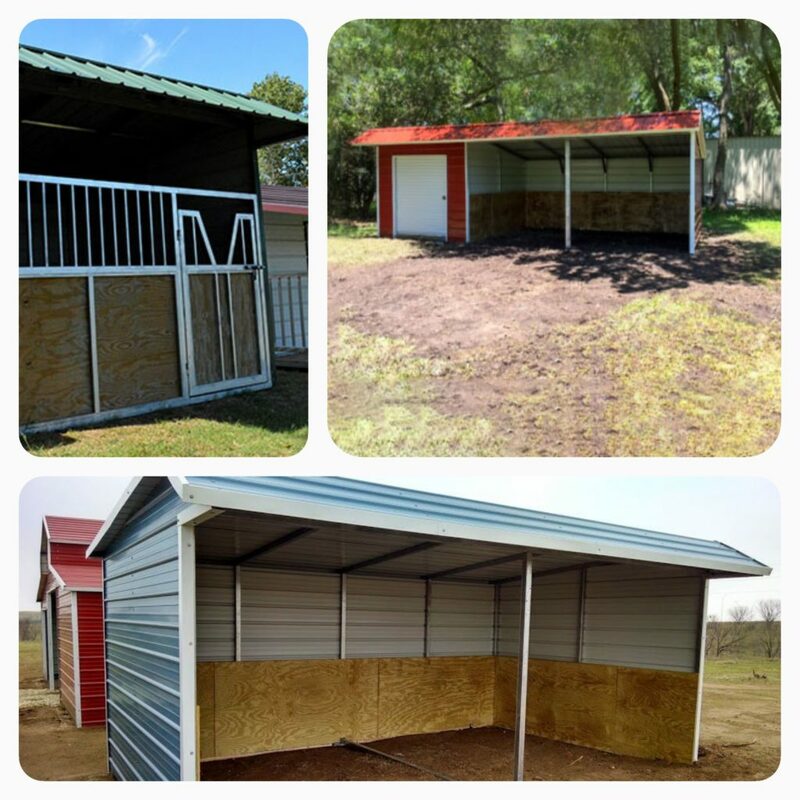 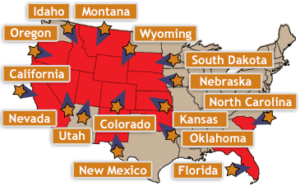 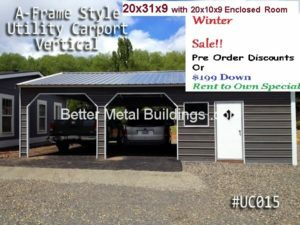 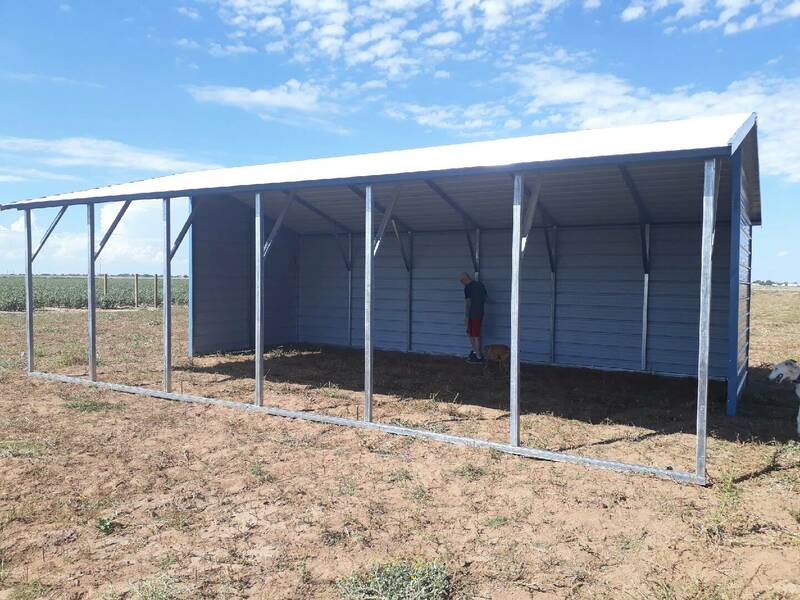 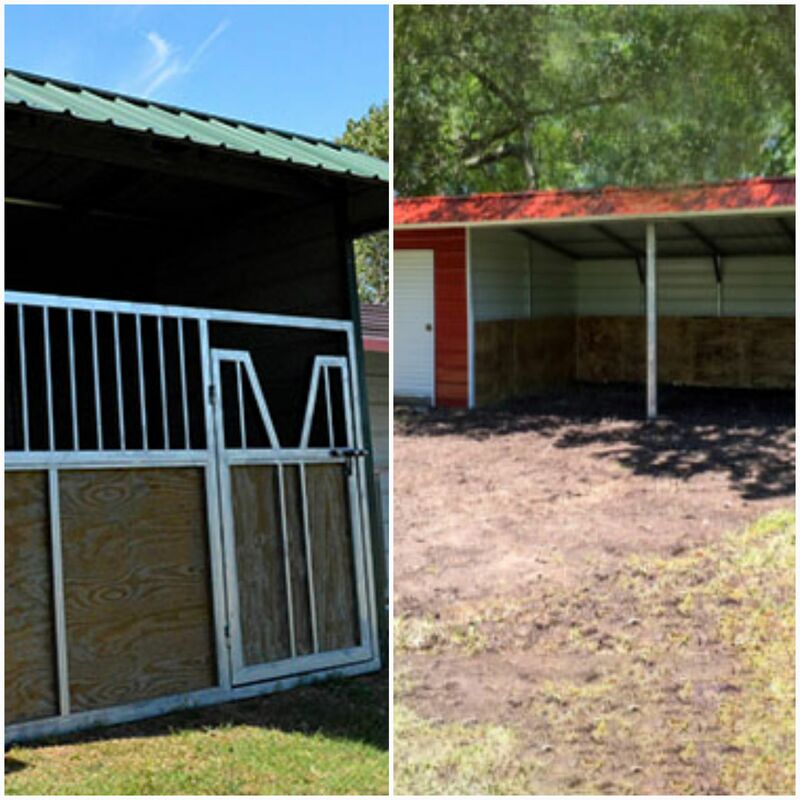 Better Metal Buildings, offers state-of-the-art steel loafing sheds with wooden kick walls available to protect livestock as well as livestock gates . 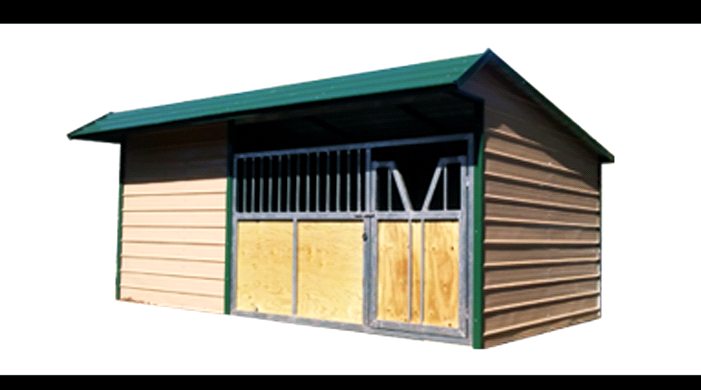 Tack rooms to secure supplies and feed, it can even come with built in wooden floors. 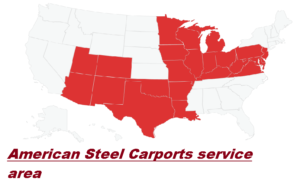 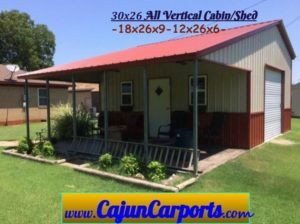 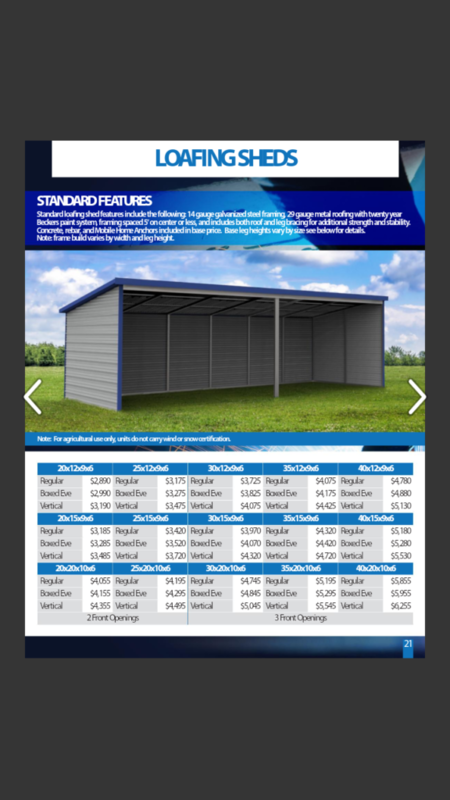 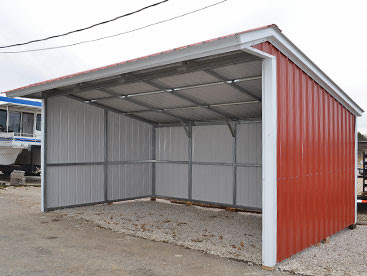 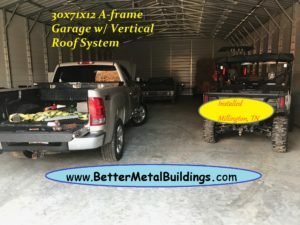 Better Metal Buildings loafing sheds , by American Steel Carports inc, now has the Brow as a standard feature. 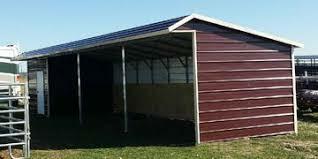 As well as , 9′ peak with 7′ back eave. 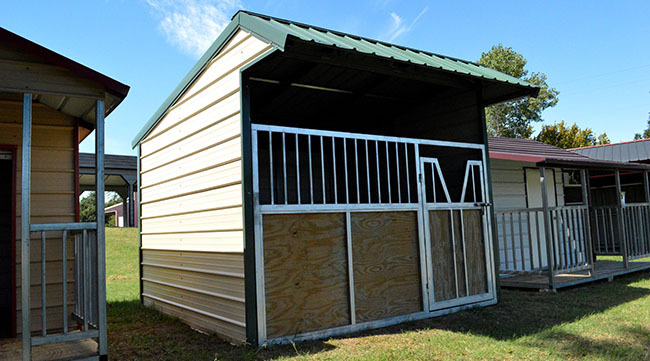 8′ head clearance under the brow . 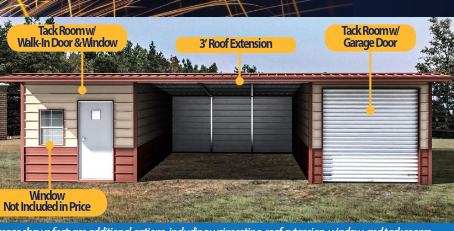 One year (4 season) workmanship warranty and of course Free Delivery and Installation. 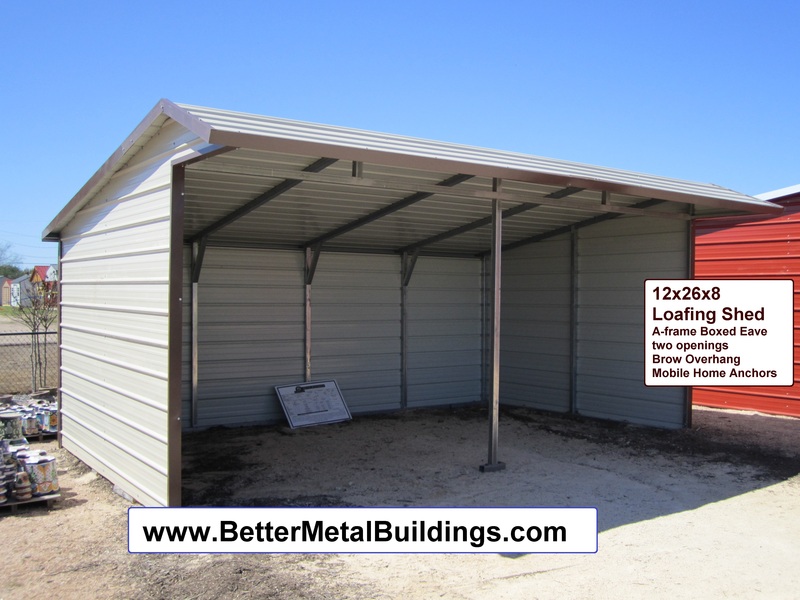 We NOW have RENT TO OWN as an option for Loafing Shed and mini storage units.